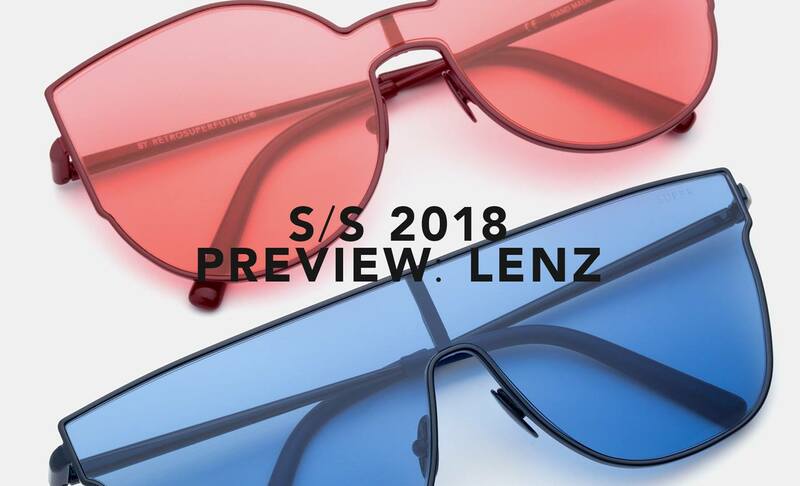 Anticipating the upcoming SS18 collection, the LENZ series features two new designs: Flat Top Lenz and Lucia Lenz in four fresh colours. Lenz Flat Top Black is a unique metallic interpretation of SUPER’s staple silhouette. The model sports a single light-weight lens encased within a slender yet determined metal structure, highlighting the Flat Top’s timeless geometry. 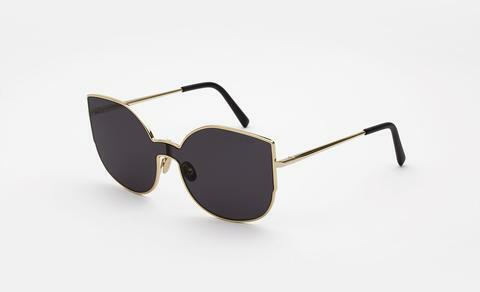 This model features black lenses and gold metal structure. 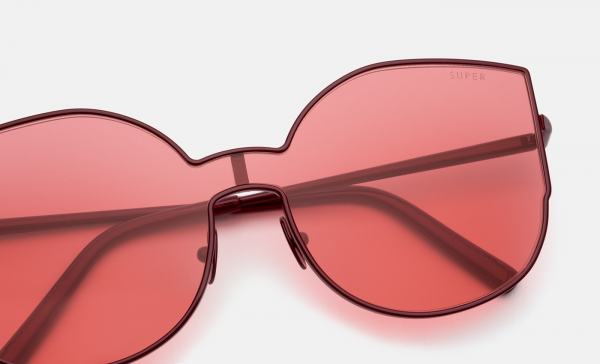 Lenz Lucia Amaranth is a unique addition to SUPER’s sunglass collection. 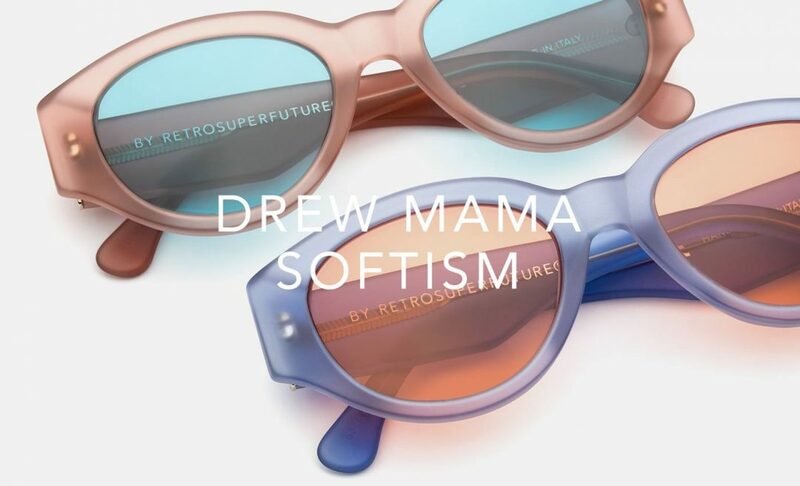 This innovative model takes the iconic Lucia silhouette, interpreting it with a single semi-flat lens and encasing it within a sleek metallic body. This model features a tone-on-tone combination of finishes in rich pink. 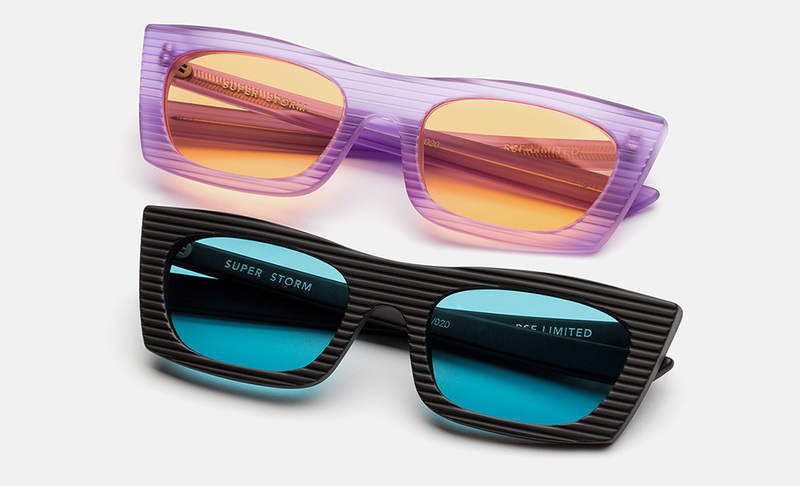 Lenz Lucia Black is a unique addition to SUPER’s sunglass collection. 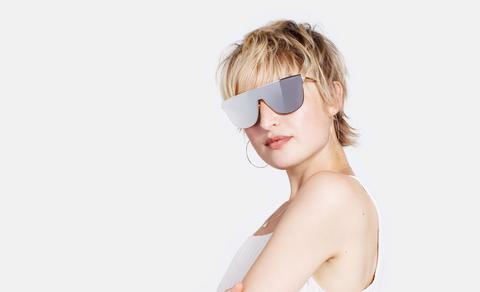 This innovative model takes the iconic Lucia silhouette, interpreting it with a single semi-flat lens and encasing it within a sleek metallic body. 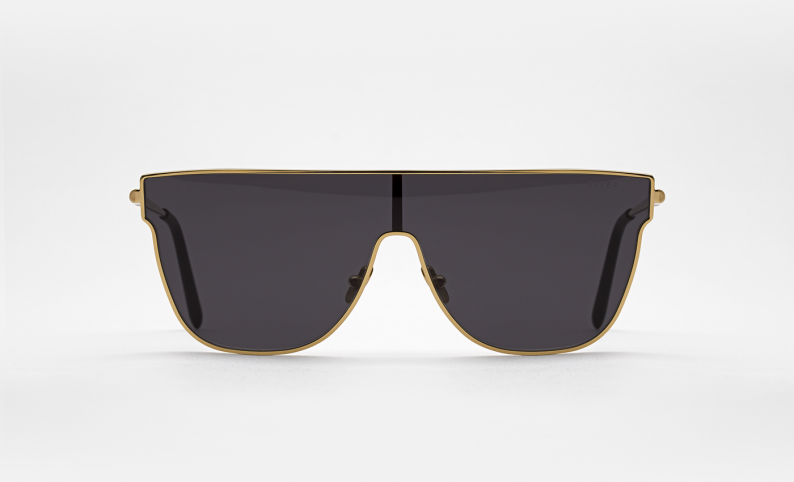 This model features black lenses and gold galvanic frame. 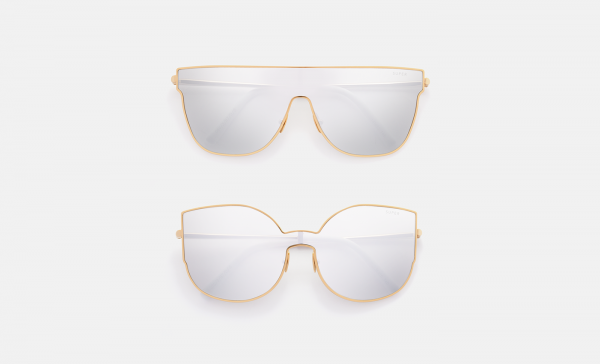 Lenz Flat Top Ivory is a unique metallic interpretation of SUPER’s staple silhouette. 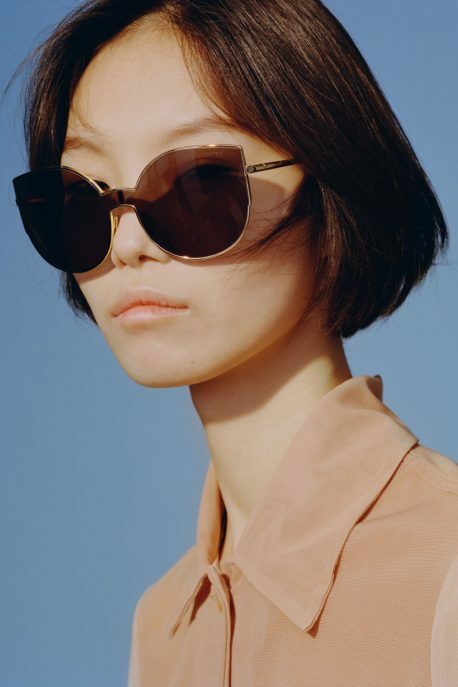 The model sports a single light-weight lens encased within a slender yet determined metal structure, highlighting the Flat Top’s timeless geometry. 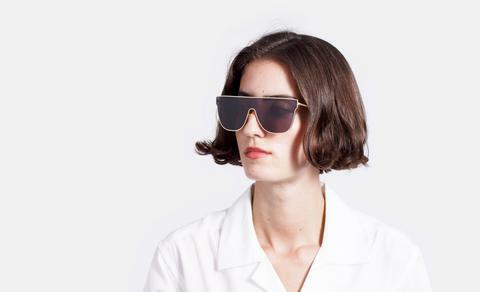 This model features a silver mirrored lens and gold metal galvanic for the frame. 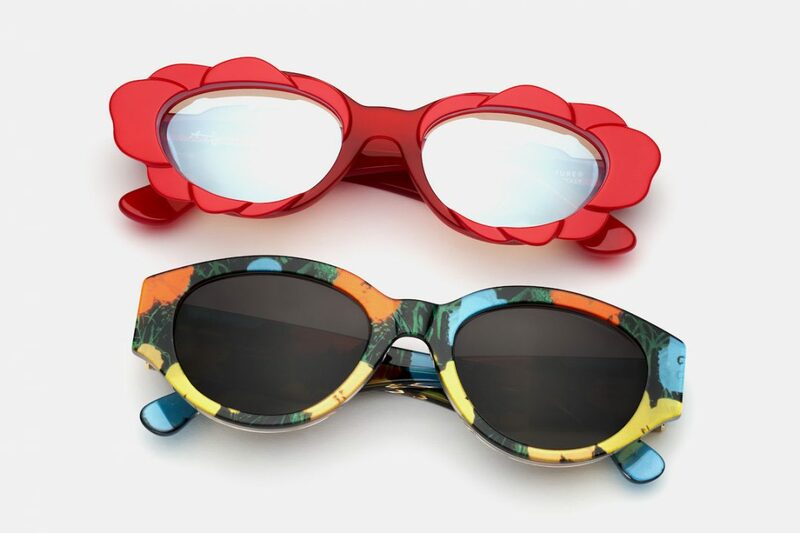 Lenz Lucia Ivory is a unique addition to SUPER’s sunglass collection. 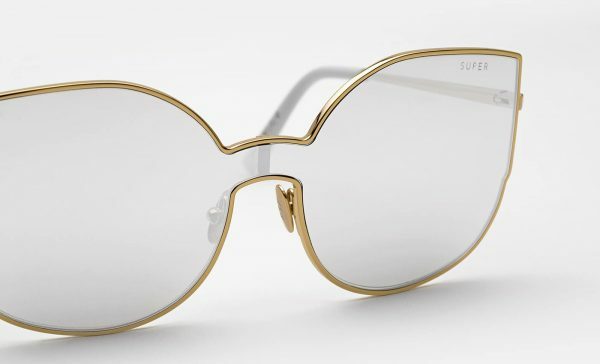 This innovative model takes the iconic Lucia silhouette, interpreting it with a single semi-flat lens and encasing it within a sleek metallic body. 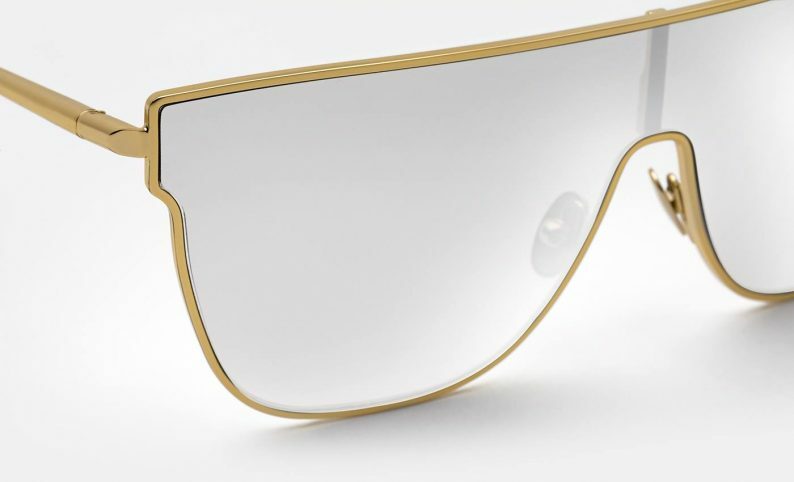 This model features a mirrored silver lens and gold metal galvanic. 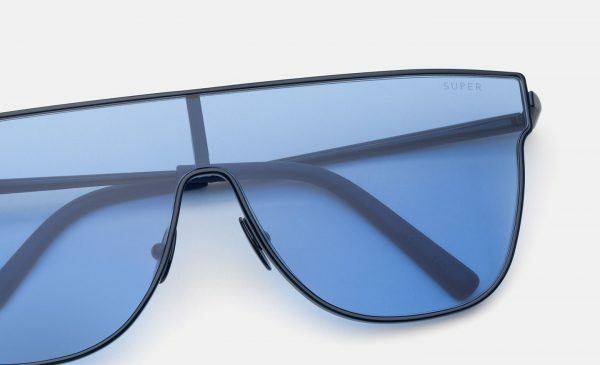 Lenz Flat Top Blue is a unique metallic interpretation of SUPER’s staple silhouette. 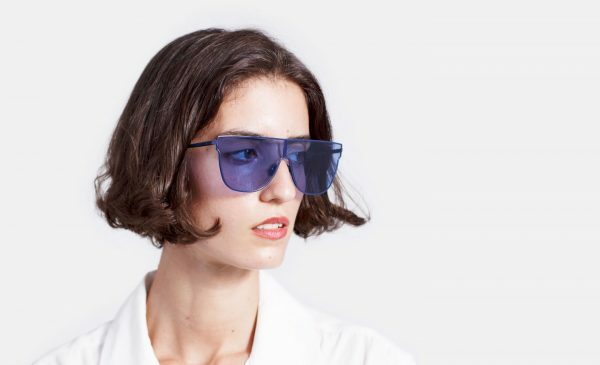 The model sports a single light-weight lens encased within a slender yet determined metal structure, highlighting the Flat Top’s timeless geometry. 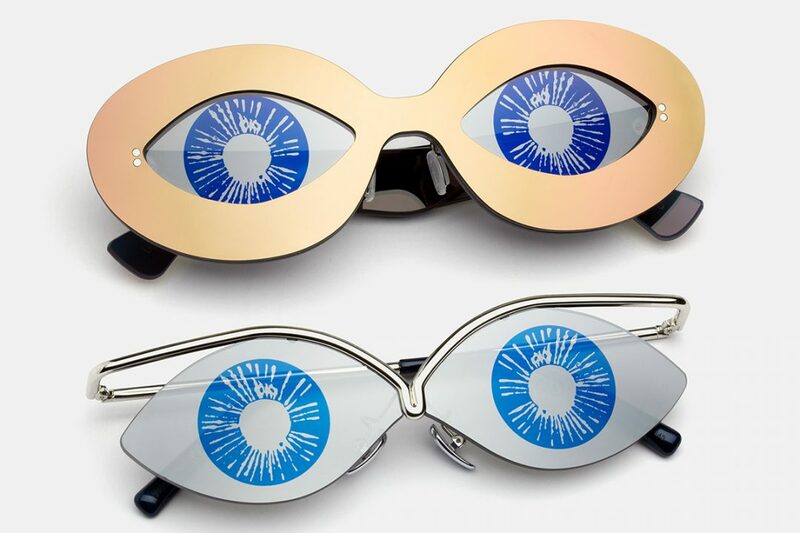 Flat Top Lenz Blue mounts a blue coated metal frame with mirrored electric blue lenses.